A delegation from Bloemfontein, South Africa led by Mayor Sarah Mlamleli met with Wuhan government officials on December 7. Both parties held talks on cooperation and exchanges in fields including commerce, culture, education, medical care, tourism, new energy vehicles, and bridge and infrastructure construction. They mutually agreed to become Friendly Exchange Cities. 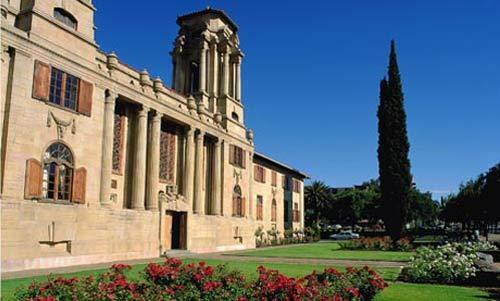 Bloemfontein is the judicial capital of the country and the capital city of the Province of Free State of South Africa. It is also the geographic center of the country and a key transportation hub. Presently, South Africa has established a visa application center in Wuhan. During her stay, the mayor visited the East Lake High-tech Development Zone, Wuhan Economic and Technological Development Zone, Wuhan University, and Wuhan Planning Exhibition Hall. She said that Wuhan has shown technological and resource advantages in fields such as road construction, bridge design, education, science and technology, electrocommunication, high-tech medical treatment, and new energy vehicles. She hopes that the two cities can develop more cooperation in these fields.